"Were it left to me to decide whether we should have a government without newspapers, or newspapers without a government, I should not hesitate a moment to prefer the latter. " Thomas Jefferson, 1787. "...insomuch as I could heartily desire, copies of ... magazines, as well as common Gazettes, might be spread through every city, town, and village in the United States. I consider such vehicles ofknowledge more happily calculated than any other to preserve the liberty, stimulate the industry, and ameliorate the morals of a free and enlightened people." George Washington, 1788. Widely available no doubt, I found these above two quotes at http://www.historicpages.com/nprhist.htm and they quickly put the matter in right context - freedom and a free press go hand in hand (although one might assume this requires no clarification, let's be clear - "free" as in freedom from government control, not free with respect to cost). A free press stands opposed to a press that functions as an organ of the state, a machine for producing propaganda. The radical changes in news reporting that have occurred since the Vietnam War era are among the most problematic in our history for the student of freedom of the press. The following are recommended introdcutions [sic] to this troubling phenomenon that affects every American. · Manoff and Schudson, eds., Reading the News, Pantheon, 1986. A good guide to sifting through media bias and inaccuracy. · Squires, Read All About It!, Times Books, 1993. Excellent documentary of the corporate takeover of America's newspapers and the threat to democracy posed by their highly censored and self-serving reporting. · Weaver, News and the Culture of Lying, Free Press, 1994. A chilling study of the pro-government corporate propaganda machine that the author argues has replaced our once-free press." The Guilded Age, leveraging the Industrial Revolution, soaked up independents into corporate conglomerates, and in so doing reduced the independent voice. The concept of freedom of the press was to prevent media from being controlled by the state for propaganda, and to provide a tool for the people to hold government accountable to the people. These are foundational democratic principles. As such, media should not be owned by a government. However, if the government isn't going to own the press, then it's going to be privately owned, and private ownership is typically justified and driven by a profitability mandate for the owners, with resulting exposure to conflict as discussed here. Today, western society newspapers are owned by very large corporations, which is necessary since print and distribution require extensive capital, equipment and logistics. Average people with an opinion to share can't afford to start up a newspaper and disseminate their ideas in a cost-effective manner. This is not so good, because what we're talking about is freedom of speech and freedom of assembly - the opportunities to create community and speak to issues in a democratic society should not be overly cost-prohibitive. The internet provides access and tools for regular people to engage in public discourse. Blogging supports open long-form in a way few proprietary platform social media services can. And, forget about paper. Paper is great for controlled environments of limited scope (a newsletter in a corporate office, for example). Distribution of paper, however, is costly. For exponentially less money (even without owning a computer and paying for internet access, renting a computer at an internet cafe has some cost, or using computers available at public libraries are still paid for through taxation), online services provide far more reach. Which isn't to say I don't like other social media services. They all have their place. For example, just a few weeks ago, I experienced my first earthquake. It was really a tremor, but it was 6 seconds like nothing I'd ever experienced before. As soon as it happened, I tried to access news internet sites, but they were crawling, not responding (I guess everyone else headed there as well). I then went to Twitter and did a search for "tremor Toronto". There were 30 hits of questions such as "did I just feel an earthquake?" along with "was there a subway crash?" or "did a bomb just go off near G20?" As I scanned the search results, the numbers kept increasing - 30 hits became 87 hits became 146 hits...and the questions were coming from Ottawa, and Barrie, and mid-Ohio area, and New York, and as far south as Baltimore. It took 5 minutes for me to determine that an earthquake shook a large swath of central Canada and north-eastern United States with an epicentre somewhere near Ottawa - Twitter put me into contact with real people down on the ground feeding raw human reaction into the global awareness...140 characters at a time. After that, I went to Facebook and changed my status to marvel at Twitter's ability to provide real-time, ground-level updates on "what was going on" and had some conversation with a few Facebook friends there. And people "liked this". Social media, microblogging, and blogging, all have their uses, and society is better for our ability, opportunity and access to be able to speak to issues, in an organized manner, and interact with both supporters and detractors, for productive discourse. This is where the critical difference between social media, microblogs and blogs should be recognized. While people may incorrectly inter-use these various forms, there really are substantial differences among social sites such as Facebook, microblogging sites such as Twitter, and your garden variety blog to the degree I hardly understand how spelling it out is even necessary. Surely one cannot suggest a long-form analysis of the state of the economy or naturopathic methods of dealing with arthritis can be properly discussed "in 140 characters or less" or by changing my status. Indeed, Facebook has elements that approximate both blogging and microblogging with it, and many recognize the Twitter approach as peeling away everything else from Facebook except the status line. Yes, there are edges that bleed into each other. But, they are not the same. A complementary usage (such as using a tweet to share a hypelink to a blog post), leveraging the strengths of both, is an obvious recognition that they are not synonymously interchangeable. Yes, some people feel blogging is more about "clipping" interesting finds on the internet over spewing narcissistic, self-indulgent babble to no one in particular. But, freedom says people can use tools and technology as it suits them, and the long-form has become the principle concept for today's independent blogger (as opposed to journalists of paper-based forms such as newspapers or magazines porting their efforts to the electronic space). Here's an interesting treatment of the question at the Online Journalism Review entitled "Just what is a blog, anyway?" that uses language in its introduction eerily similar to that of this post's title (I did not copy it, it just seems the most apt title to describe the crux of the matter). It also quotes Jeff Jarvis, whom I've previously quoted on this blog as well (any discussion of contemporary issues in media will stumble across his name not infrequently, indeed). Yes, this OJR article is 5 years old - how much has blogging changed since 2005? Enough to know that, indeed, this is not a static entity. Like the human experience, blogging is rather fluid in its application, which makes it an excellent medium to complement other efforts to navigate the human experience in the element of the online space. Some may say so. I say "nah." Plenty of people recognize that things are really "just getting started" in the blogosphere. Having said that, I don't have enough ego to think that my blog will be "the life of the party" either. Ought Thoughts will just be one more conversation in one corner of one room of the party. It will appeal to some, not to others, definitely not to all. That's diversity, in all its splendor. 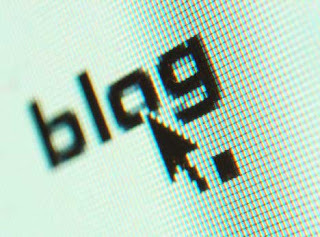 The OughtThought then, is that blogging makes an important contribution to a free society, and it should be celebrated for the platform it provides to the voice of the individual.